Facebook is grabbing more and more of web users' time. 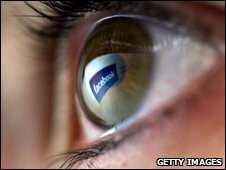 Social network sites such as Facebook and MySpace are now more popular than personal e-mail, finds a report. The Nielsen survey of users' habits found that 67% of all those going online were spending time at social network and blogging sites. Interest in the category is growing four times faster than the other top four sectors, said the report. In the UK one in every six minutes of the average web user is spent at a social site, it found. "Social networking has become a fundamental part of the global online experience," said John Burbank, chief executive of Nielsen Online in a statement. "Social networking will continue to alter not just the global online landscape, but the consumer experience at large," he said. HOW MANY USE THE TOP SITES? Nielsen measures interest in categories by the percentage of the web audience that regularly visit such sites. The latest statistics suggest that 65.1% of web users use web e-mail but 66.8% are turning up at social network sites. This means, said Nielsen, that about one in every 11 minutes a web user is online is spent at one of the sites Nielsen counts in its "Member Communities" category which includes both blogs and social network sites. Of these sites, Facebook has highest average time per user, found Nielsen. The researchers also found that social networking sites are managing to reach a very broad swathe of web users. The fastest growing segment of users turning up and using social sites over the last year was among 35-49 year olds. In particular, the report noted, almost a quarter of Facebook's users were known to be over 50 years old. More and more people want to get at their favourite social network site and update via mobile, found Nielsen. In the UK the numbers of Britons looking at a social site via their phone was up 249%. What's the ideal number of friends?